The Time Machine tool on macOS is a great way to create backups of your data. Because it’s a native Apple tool, it integrates seamlessly with the operating system. You can set it and forget about it, safe in the knowledge you can restore your system in a few minutes How to Restore Data From Time Machine Backups How to Restore Data From Time Machine Backups It's really easy to set up Time Machine, the backup software that comes with every Mac — but how do you get your files back when things go wrong? Read More if something goes awry. But it’s not always set it and forget about it. Sometimes, you might see an error message that says the backup is too large for the backup disk. What can you do? You’ll need to delete some of your old Time Machine backups to make space for the new ones. You have two methods to choose from. Keep reading to learn about them both. Connect your backup drive to your computer. Click on the Time Machine icon on the Menu Bar. Scroll through your backups and find the one you want to delete. Agree with the on-screen confirmation. Connect your backup drive and wait for it to appear under Devices in the left-hand panel. Navigate to Backups.backupdb on the backup drive. Within Backups.backupdb, find the subfolder with your Mac’s name. You see a long list of subfolders organized by date. Delete the folder associated with the Time Machine backup you want to remove. Remember, you don’t have to use Time Machine to manage your backups. 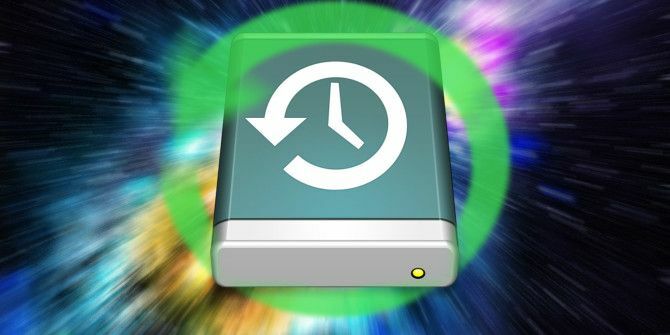 We’ve covered some of the best third-party backup tools for Mac 5 Local Mac Backup Solutions That Aren't Time Machine 5 Local Mac Backup Solutions That Aren't Time Machine There are lots of Mac backup options out there, and many of them have features that Apple's default backup app just can't compete with. Read More elsewhere on the site. Explore more about: Data Backup, Time Machine, Troubleshooting. This will not only take days to complete, but is unlikely to even work at all and leave gigabytes of undeletable data in your trash. Always remove old backups via the built-in time machine method or via the terminal if you know how to do that. Hi - thanks for this. I found Time Machine far too "non-intuitive" to use to delete back-ups (like Carrie I didn't see the "gear icon" and am just presented with multiple windows and no obvious way of selecting or deleting) so opted for the Finder method. Question - why did Time Machine fill up my external HD - it's supposed to delete old back-ups to allow space for the new one isn't it? Anyway, I have back-ups from 2016, 2017 and much of 2018 to delete! 2016 seemed to work and I could empty the trash. 2017 was counting up to over 1m items and is now counting down as it empties. In both cases it pauses every now and then to tell me it can't complete an operation because something is "in use" including Library, System, Macintosh HD, Core Service and - I've just selected Skip each time and let it continue - is this the right thing to do? Hard to operate a computer without using the HD I would have thought! Option 1 does not work. When I enter the time machine app there is no gear icon to select. Why does Apple make it so hard to manage our own storage? Grrrr. hey have you found any solutions for this? I just ran into the same problem.